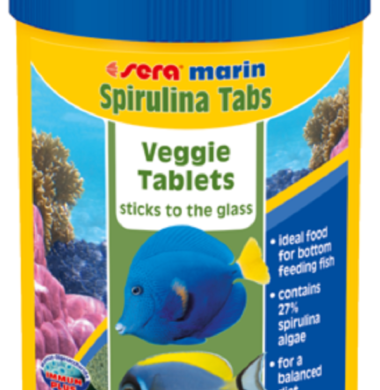 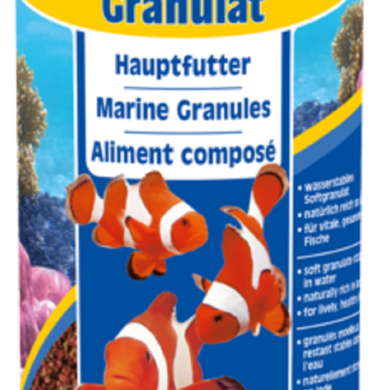 Sera Marin Spirulina Grazer XL is a herbal food for mainly herbivorous fish (such as tangs, angels and wrasses). 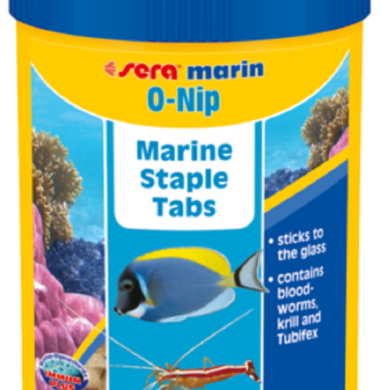 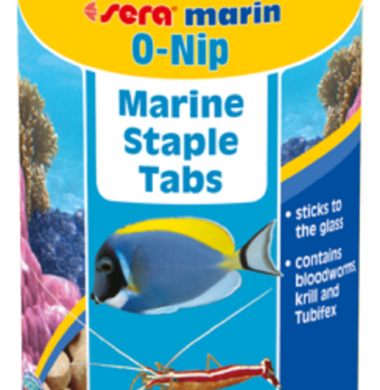 The carefully manufactured tablets sink to the bottom or can be attached to the aquarium glass by slight finger pressure. 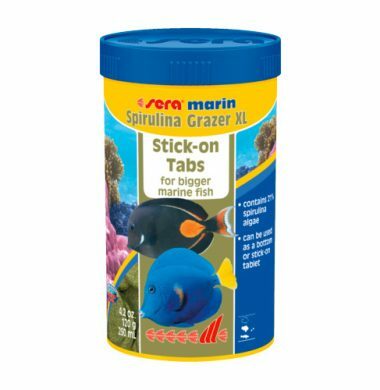 This allows for watching even shy fish eat right in front of you. 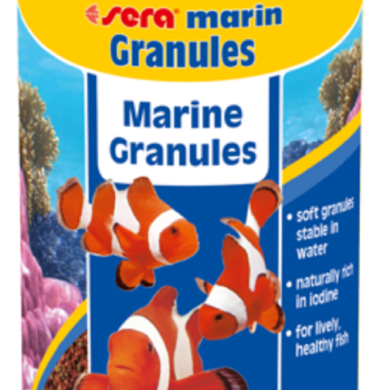 The varied blend of Sera Marin GVG-Mix is rich in minerals and trace elements (such as iodine) and thus optimally fulfills the natural requirements. 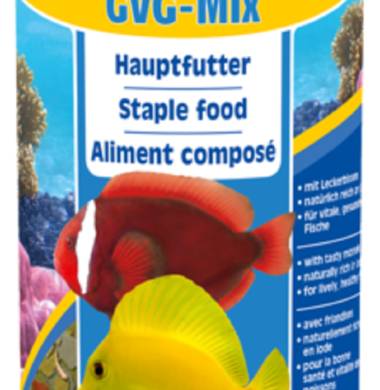 The food keeps its shape, is excellently digestible and does not pollute the water.